At Davam Urgent Care family clinic now open in Giddings, TX we will be offering a wide variety of walk-in urgent care services for families. Every patient who visits Davam Urgent Care will be seen by a board-certified medical provider. Our family clinic is now open daily in Giddings, TX will to provide for convenient care when you are unable to get an appointment with your primary care physician. If you or a family member is dealing with a non-life threatening issue, you are able to visit Davam Urgent Care in Giddings located at 2454 E. Austin St. Giddings, TX 78942. 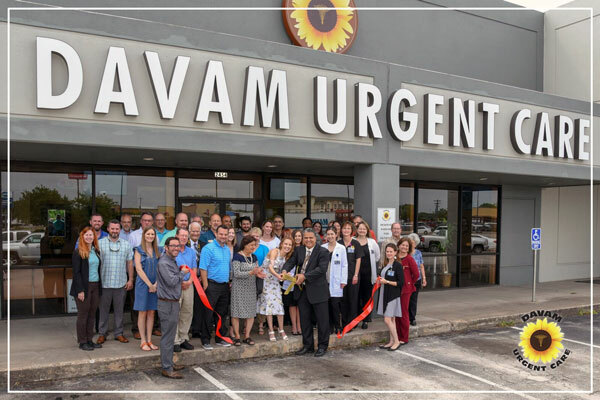 In addition to providing urgent care services for the entire family, Davam Urgent Care also provides many more services including diagnostic and in-house lab testing. We are able to perform x-rays during normal operating hours using our digital x-ray machine. X-Ray results are typically back within an hour to provide for a convenient visit time. We also offer medical equipment in house including back braces, wrist splints, ankle braces, and more.Our in-house fully certified lab is able to perform testing including urinalysis, urine drug screening, flu test, strep test, RSV, mono, and more. To find out more about medical services offered at our family clinic now open in Giddings, TX visit www.Davam.com. Davam Urgent Care is located at 2454 E Austin St. Giddings, TX 77354. Davam Urgent Care is open daily and serves Giddings, Ledbetter, Warda, Bastrop, Hills, Paige, Lexington, La Grange, and other surrounding communities.